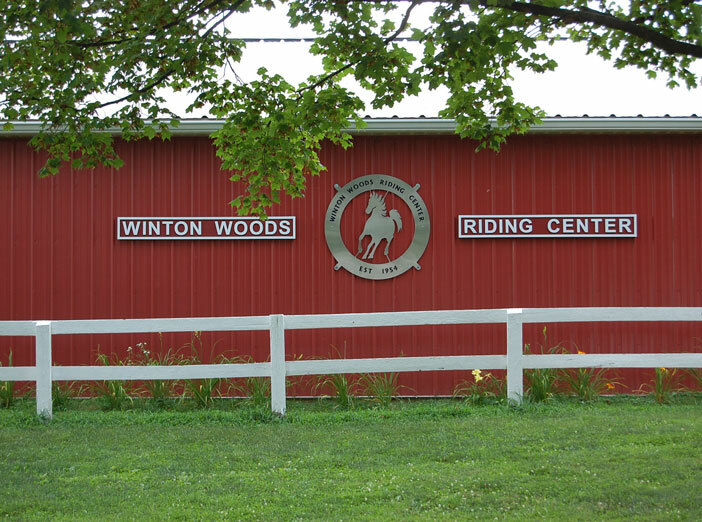 Open schooling days are special days when you can bring your own horse to Winton Woods Riding Center (WWRC). Participants have use of the large indoor riding arena, two outdoor arenas (one of which is set up with stadium jumps) and hilly terrain obstacle course, which can be used for trail class training or just for fun. A cross-country style jump field also gives more advanced riders an opportunity to practice jumps that vary in height from 18" to 2'6". Jump field is closed for safety in wet conditions. Riders can show up and pay the day of ($20) OR pre-register through the WWRC Office. Additional Group Schooling Days can be scheduled by request for any club, barn or organization of 3 or more. To check on availability of any certain date, please contact the WWRC Office at 513-931-3057 or wwrc@greatparks.org.